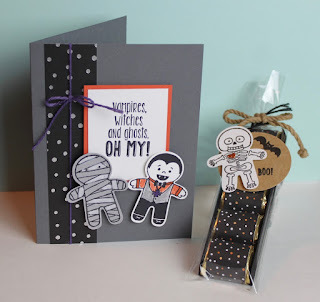 Just Julie B's Stampin' Space: Cookie Cutter Halloween for Class! 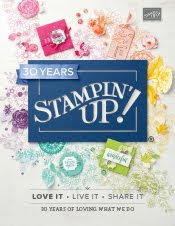 So here's a double Sneak Peek for stamp class this week! We'll be making both the card and the Nugget Sleeve Treat Holder - and both using the Cookie Cutter Halloween set! They are both quick and simple - but oh, so cute for Halloween gift giving! I hope you'll be coming to class this week to make these cuties, plus two other fun fall cards!